Are you looking for new (and free) ways to develop professionally while still studying? Then, you found a great source! Take your seat among other students to learn from thought leaders, network with peers, get feedback about your career and take advantage of these fully-funded opportunities! If you plan to attend more events like these, make sure you bookmark this page as we are populating the list with new opportunities over the calendar year. The 5th AFMAM 2019 targets students of tertiary education level from across ASEAN region to understand diplomacy and how decision makers of ASEAN Member States address regional issues at the various ASEAN meetings. For the first time, “ASEAN Plus” engagement is introduced in the AFMAM as the 5th AFMAM 2019 will involve “ASEAN Plus Australia” mechanisms. If you are selected, be prepared to interact with your Australian fellow delegates in the simulations! UNLEASH is a global innovation lab that brings together people from all over the world to transform 1,000 personal insights into hundreds of ideas, and build lasting global networks around the Sustainable Development Goals. The ACWAY Forum will be an opportunity for the participants to contextualize the concepts of multiculturalism and interfaith harmony into practice. The partnership between the European Commission and the Council of Europe in the field of youth will organise a symposium bringing together up to 120 participants to explore questions, tensions, challenges and opportunities regarding the political participation of young people in today’s changing world and to create a space for learning and inspiration among actors involved in this topic. Eligibility: Current undergraduate students, graduate students, and young professionals are eligible to apply to the conference. In addition, recent college graduates who obtained an undergraduate or a graduate degree in the past 5 years are eligible to apply to HPAIR conferences. HPAIR will celebrate the most recent advancements in human knowledge, including cutting-edge topics such as blockchain as well as new innovations in traditional business models. The delegates will hear from renowned business leaders, academics, and policymakers to analyze Asia’s changing role in the global market and explore ways for Asia to lead the global narrative into the next great economic transition of the century. SABF is connecting future leaders to contribute to the sustainable development of the world. The SABF is an event that takes place annually in Buenos Aires for 3 days in the month of July. 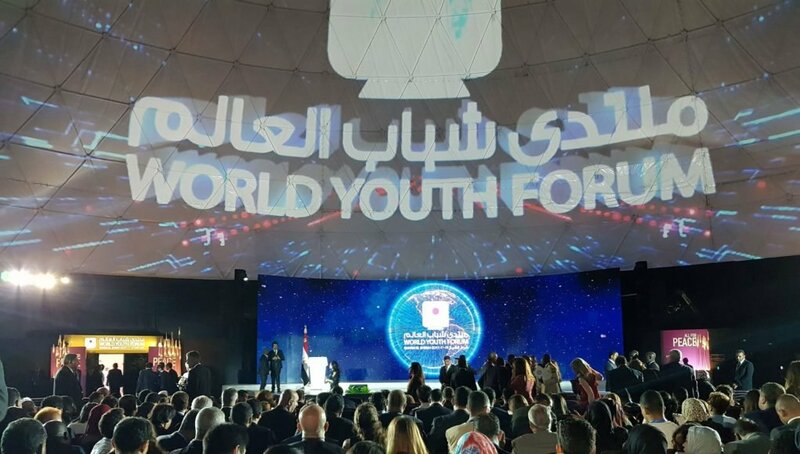 Each year the forum receives 100 outstanding university students from around the world together with 40 leaders of business, political and academic areas. For all selected participants the conference will cover: meals during the 25th, 26th and 27th of July and entrance to a night event on the 26th of July. For participants from other countries and other cities of Argentina (other cities apart from Buenos Aires): accommodation in a hotel during the nights of the 25th, 26th and 27th of July and transfers from the hotel to different places where activities are carried out. The travel expenses to and from Buenos Aires are not included. The SABF Organizing Team will provide you with all the assistance you may need in order to get funds. Eligibility: You must be aged 18-35 and live in one of the participating countries – Canada, Egypt, India, Indonesia, Kenya, Mexico, Morocco, Nigeria, Pakistan, Poland, Tunisia, UK and USA. Applications from Egypt and the USA are by invitation only. The aim of the conference is to present a wide spectrum of scientific theories, views and opinions on the importance, status and opportunities for the development of the social economy, ecological economy, entrepreneurship and social innovation, legal conditions for the development of economics in Poland and in the world. Representatives of science, sociology, politics, business, students and scientific clubs and all those interested in the areas of economics, social economy, ecology, entrepreneurship and innovation are invited to participate. The conference covers: publication, conference materials, coffee breaks, lunch. Eligibility: You must be a full-time university student at a university in an ESA member state, Canada or Slovenia. Be between the ages of 18 and 32 at the time of the conference; have abstract already accepted for the conference; Have participated in, or be currently participating in, an ESA Academy’s (i.e. University level) hands-on activity and/or a training course, which should be the main subject of the abstract. The Symposium hopes to provide a forum for discussion on the current state and future of Space Educational Activities in Europe, and the wider world, with a specific focus on University level and extra-curricular activities, as well as show casing the students’ results from such activities. It’s hoped that the Symposium will attract University Educators and students as well as those working with activities which ‘bridge the gap’ between high school and University activities. ESA sponsorship covers the reimbursement of the early-bird student registration fee and provides a maximum reimbursement towards travel of €200 and accommodation of €50/night (payable on production of receipts). Are there any other cool events and opportunities we forgot to mention? Let us know in the comments section below.